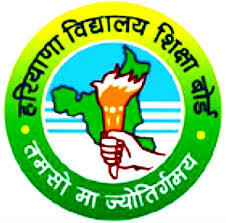 Haryana(India) Results 2014 Class 12th: Haryana Educaction Board Results 2014 for class 12th exam 2014 will be published today by Haryana Board of Secondary Education(HBSE) / Board of Secondary Education (BSEH). Haryana Board (www.hbse.nic.in) 12th result 2014 is expected to be announced today on 05 June 2014. It must be a phase of tension for all the candidates who have appeared in the examination to know their results. Haryana Board 12th Result 2014, HBSE 12th Result 2014 to be declared today by HBSE (www.hbse.nic.in) and BSEH (www.bseh.org.in). Candidates can check their results on the official site of the board or they can directly click on to https://www.jagranjosh.com/results/2014-hbse-12th-44652 to know the results. This is an attempt taken by Jagranjosh.com team to help the candidates know their results easily. The Haryana Board SSCE or class 12 exams were conducted in the month of March. It started off on 07 March 2014 and ended on 28 March 2014. The exam was started with English and it came to an end with Psychology, Philosophy. The exam is conducted twice a year under semester system in accordance with the syllabi prescribed by the Board. The Haryana Board of Education came into existence in the year 1969 under the Haryana Act No. 11 of 1969. The headquarters were located at Chandigarh earlier, but it was shifted to Bhiwani in January 1981. The board adopted the class 12 examination under the new scheme with effect from 1987. The Board has about 1 million students registered under it and about 650 officials. The team at jagranjosh.com extends their best wishes to all the students who appeared in the Haryana Board 12th exams 2014.